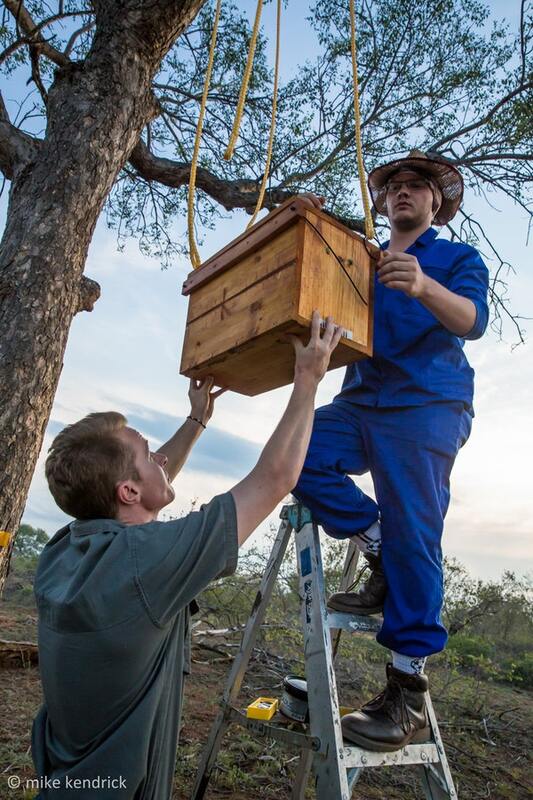 A study has found that hanging beehives containing African honeybees from the branches of marula trees protects these trees against elephant impact because the elephants avoid those trees. 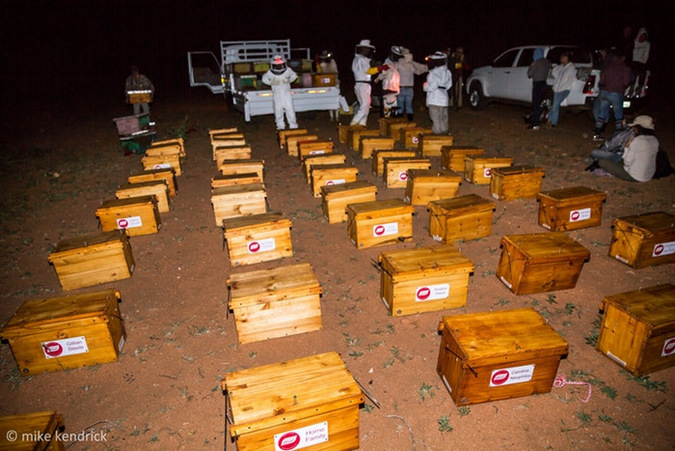 Only 2% of trees with beehives incurred elephant impact, compared to 54% of trees in the research block that had no deterrents. 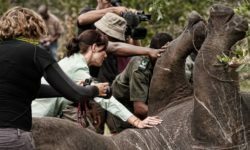 The research was conducted by South African based Elephants Alive and the University of the Witwatersrand, Johannesburg, in partnership with the Elephants and Bees Project of Save the Elephants in Kenya. 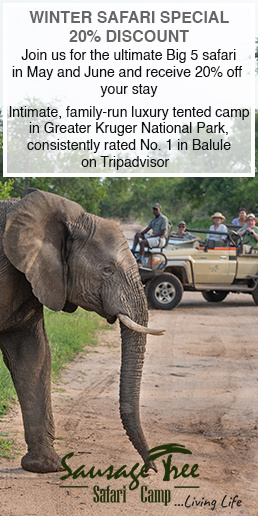 Conservation managers in fenced-off protected areas are concerned about the impact that expanding African elephant numbers have on the survival rate of large tree species, necessitating the need for mitigation methods. 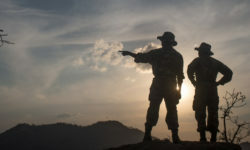 One such mitigation method, wire-netting, has proven to be successful at increasing trees’ survival rates by preventing elephants from ring-barking these trees. However, wire-netted trees are still vulnerable to other types of elephant impact, such as breaking off branches and uprooting the tree. 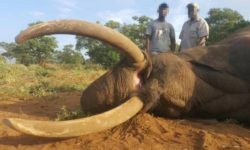 This requires researchers to investigate new methods which may be effective at completely deterring elephants from particular large trees. Building off Save the Elephants’ research on using African honeybees to mitigate elephant impact on crop fields, the study showed that hanging a combination of both active and dummy (inactive) beehives from the branches of marula trees creates a formidable mitigation method for protecting this keystone species from elephant impact. 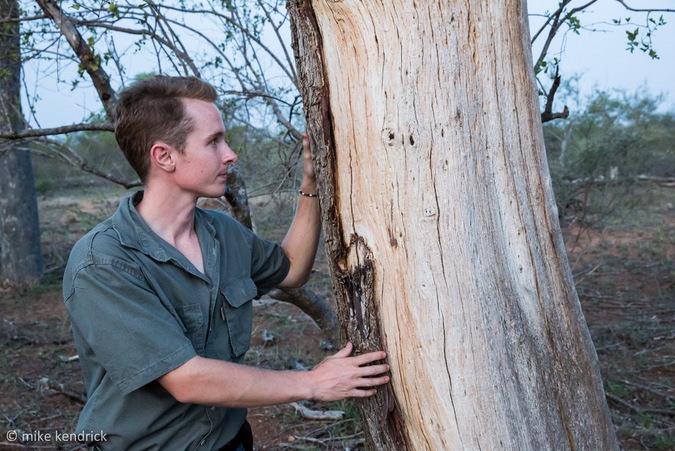 The investigation, led by Elephants Alive researcher Robin Cook, who is studying for his Master of Science degree at the University of the Witwatersrand (Centre for African Ecology), monitored elephant impact on 150 marula trees in a 30 hectare (75 acre) experimental plot in Jejane Private Nature Reserve, which is part of a larger association of reserves sharing unfenced borders with Kruger National Park. 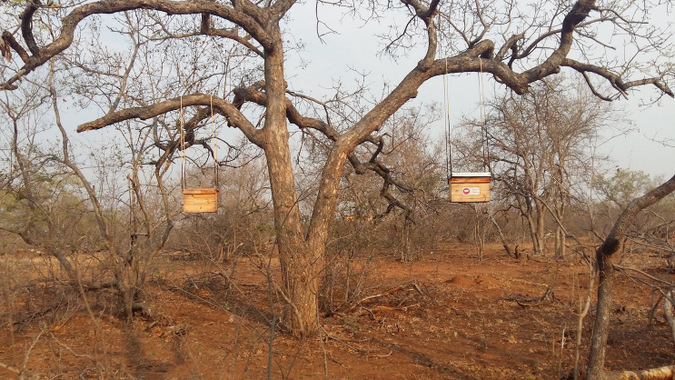 The 150 marula trees were subdivided into 50 beehive trees, 50 wire-netted trees, and 50 control (no treatment) trees. For this study, 50 active beehives were brought into Jejane and hung overnight in their 50 respective trees. 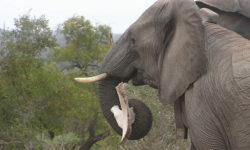 “This exciting research indicates that beehives could be a valuable ‘tool’ in the toolbox of methods for protecting large trees from elephant impact in fenced-off protected areas” said Dr Lucy King, founder of Save the Elephants’ Elephants and Bees Project, “Particularly as it is a non-lethal method for elephant management”. 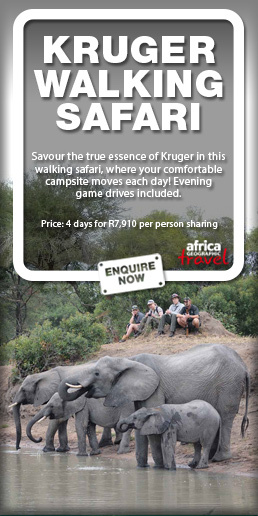 • Only 2% of trees with beehives received elephant impact, in comparison to 28% wire-netted and 54% control trees. • Beehives were more effective than wire-netting at protecting trees from impact. • Beehives in trees are effective at protecting the individual tree from elephant impact but do not prevent elephants from impacting neighbouring trees. • Beehives were more expensive than wire-netting, and require greater maintenance. 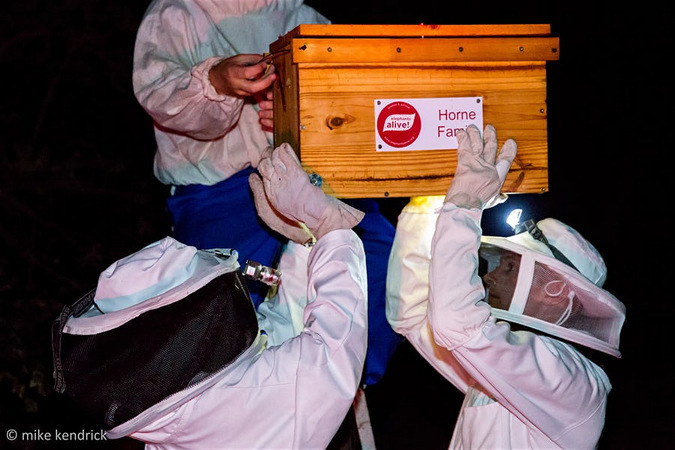 • For protected areas with logistic and financial resources, beehives can provide a valuable alternative method for protecting large trees from elephant impact. Contact Robin Cook for more information regarding this research project.